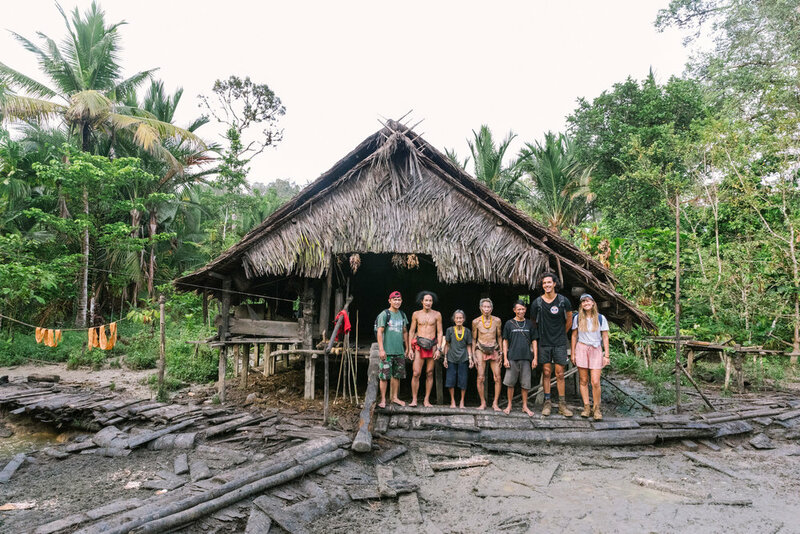 The Mentawai islands of Indonesia appears, when looking at them from the seat of a traditional dugout canoe, like an enchanted land. A heavily forested archipelago of dense jungles, unique fauna and flora inhabited by an ancient traditional animist culture that is often gifted with some of the most perfect waves in the world. A major issue in this paradise is the lack of waste management systems and education. Both communities and the ocean are becoming littered. During this expedition, you will join a team of skilled, adventurous and passionate humans ready to undertake an epic project to directly enhance tribal communities, reduce plastic waste from entering the oceans and experience a trip only dreams are made of. 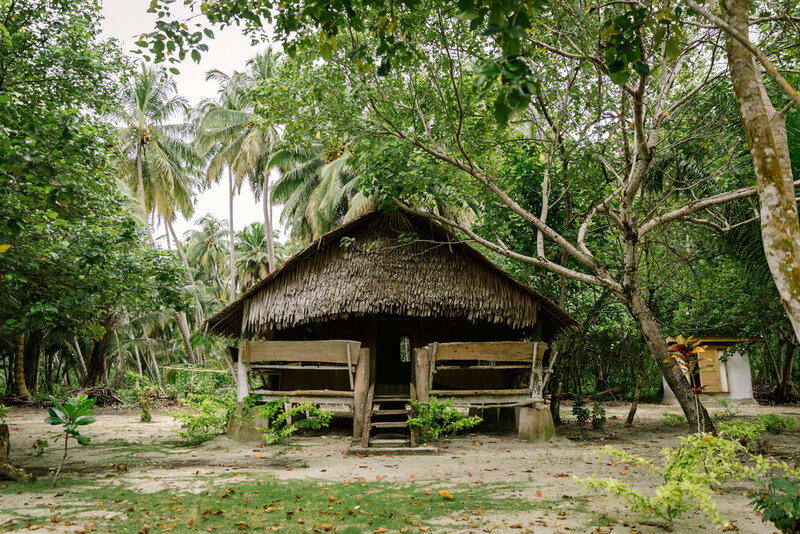 Most importantly, you will work directly with local NGOs and stay with Mentawai owned and run eco-retreats to promote sustainable income and a thriving wild environment. 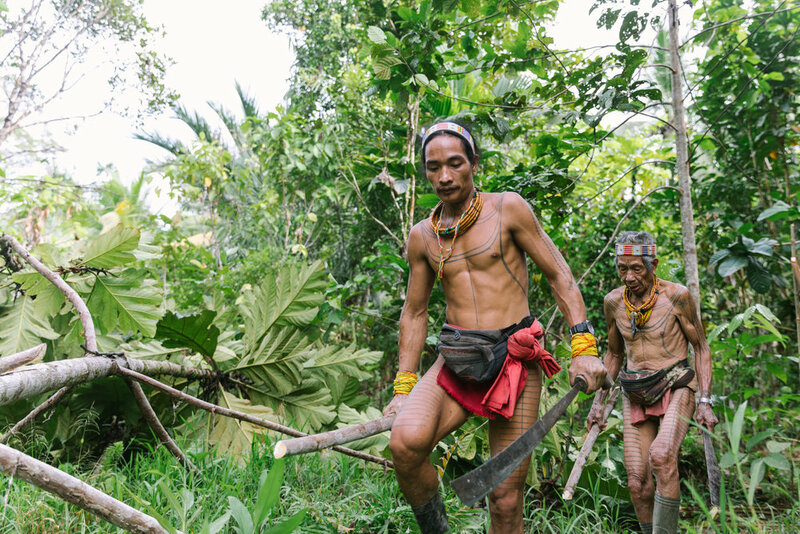 Join us for a 10 day Expedition, where you will be intimately connected to Mentawai ancient wisdom and culture. Guided through a curated experience that deep dives into ecology, economics and politics. Spoilt with perfect barrels, ocean pools for free-diving sessions and jungle treks that will keep you occupied when you're not immersed in the facets of the sustainable project. Through our travels, we let a lot of extraordinary landscapes vanish into a blur outside the windows. One moment present, the other, gone. On this journey, you will enter a realm vastly different from your typical holiday, in some of the most pristine, undeveloped places. What do VOPO guests say?
" inspired by the beauty of the natural setting and contrasted with the political nature of the field trips, i left feeling aware and motivated "
" i was overwhelmed by conversations with people i never would have had the chance to meet. " " it may challenge you. but what you discover, could change your life forever. " Kipa, masehat lau a? : How are you? VOPO Expeditions were conceptualised to address social and environmental challenges, by bringing skilled humans, adventurers & innovative minds together from across the world for an experience like no other. The itinerary is designed to connect, intellectually stimulate and inspire new ways of tackling some of the worlds biggest feats. All in a pristine setting with the wisdom of locals and curious company who are eager to dive deep, get exploring and bask in the glory of nature. Behind the scenes, we partner and work directly with communities on projects to provide solutions to key sustainability challenges. Our team of experts spend extensive time scouting, engaging, researching and testing all elements of your adventure to create an unforgettable experience. We unite local leaders with a team of global pioneers to embark on a VOPO Project, embedded into an insanely inspiring adventure itinerary. Leveraging our global network, we drive longterm change through consulting, reporting and repeat experience to accomplish our targets. As air travel is a huge contributor to environmental degradation, our team are currently focused on calculating our carbon footprint. For which, we are developing a method to account for the impact of all miles (revealed soon). We also respect our role as guests in each host country, knowing that long-term strong partnerships are imperative to sustainable outcomes and allow us to be responsive to the genuine goals of the region. VOPO also devote a portion of Expedition places to local scholarship participants, a measure that maximises accessibility. This is also key to our mission, exploring unintended consequences and addressing systems rather than symptoms. Additionally, we stay at locations that are off the grid, investing in local employment, with a commitment towards conservation and in harmony with nature. open your mind to what you can offer and see what magic the planet gives back to you.